Another quick meal for you. Pasta with Pancetta and Leeks. Some of the quick meals I have done are here,here, here and here. Pioneer Woman claims it took her 15 minutes to make. I cook this pasta very often. This is adapted from Pioneer Woman A simple and flavorful meal which is also the family favorite. This is also the only dish that I buy leeks to cook with. I usually buy a small stalk just for this. Sometimes, I will also prepare a side. It will be garlic toasts or Mushroom Tart. I use ready made puff pastry to make mushroom tart. This mushroom tart or mushroom puff is just really only mushrooms and shredded mozzarella cheese, that's it, and if I have rocket leaves and prosciutto, I add them too,after baking. Cooked pasta and set aside. Reserve 1/2 cup of pasta water. Saute chopped pancetta until fat is rendered and it starts to brown. Add sliced leeks and cook for 8 minutes. 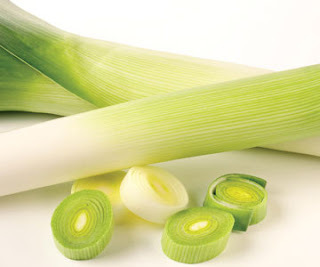 When you add the leeks, you can also throw in a pat or two of butter if you want to. This'll give the dish some scrumptious flavor. Add it after bacon is browned. After 8 to 10 minutes, pour in wine, then cook an additional 1-2 minutes, until reduced. Reduce heat to low, then pour in cream. Add salt and pepper to taste. Stir in Parmesan shavings.Toss in pasta, adding a little pasta water to thin as needed. Serve with Parmesan shavings over the top. Note: You can replace Pancetta with Bacon. Once Pancetta is browned, I drained Pancetta and dish up before adding leeks. Lightly score the edges of the pastry. Add cheese and mushrooms. Top with more cheese. Brush the edges with egg wash. Bake for 25 mins 200C oven. In 1989,I moved into our first house and found this book outside my front door. I don't know whether it was left by mistake or it was meant for me. This book is a collection of Bible verses and it is such a handy reference when you feel the need for the Bible's guidance on a particular problem in your life.